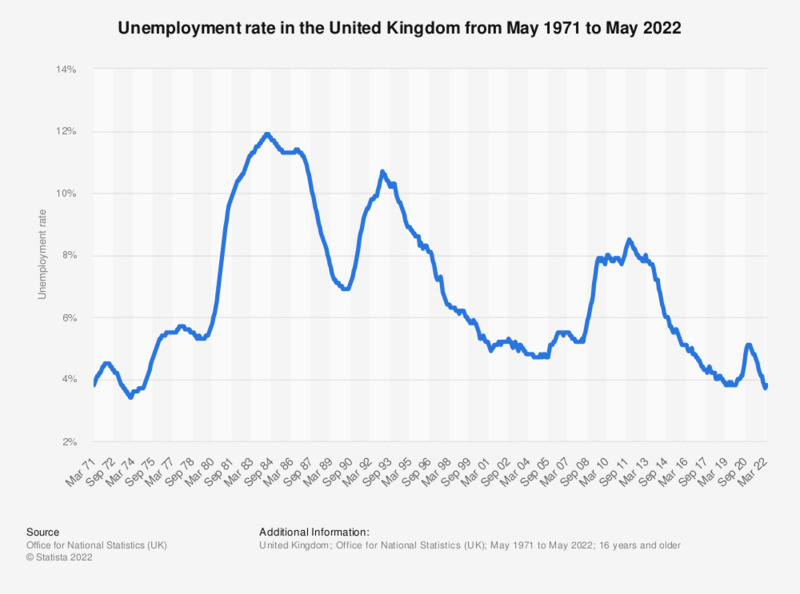 This statistic shows the unemployment rate in the United Kingdom (UK) from 2000 to 2018. During this period the unemployment rate of the United Kingdom has shown considerable fluctuations. Between 2000 and 2007 the rate was relatively stable before rising from 5.3 percent in 2007 to 8.1 percent by 2011. This increase was almost certainly due to the onset of the Great Recession in 2008, which saw the United Kingdom's GDP contract by 4.2 percent in 2009. The UK's unemployment rate declined after 2011, but only reached it's pre-2008 levels in 2015 before declining further in more recent years, reaching a low for this period of 4.1 percent in 2018.